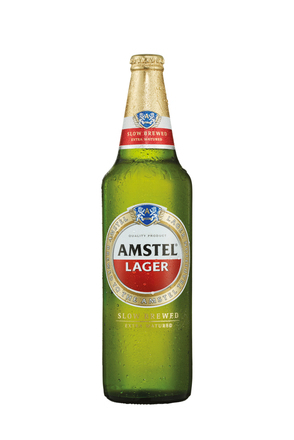 When Gerard Adriaan Heineken established his first brewery in 1873 he used the cutting edge technology of the day to ensure his beers were consistently good, including the pumping of river water to cool the brew. 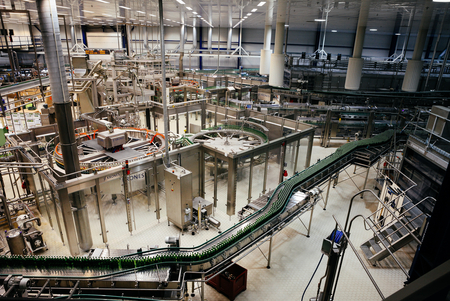 The Heineken family have continuously invested in research and development. This is very evident when you visit Zoeterwoude and pass well-equipped lab after lab visible through the glass doors on either side as you walk the long corridors. 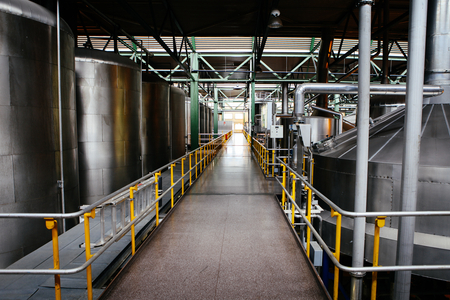 Testing and development is not restricted to the laboratory and Zoeterwoude boasts a test brewery which itself has a capacity larger than most medium sized commercial breweries. Amongst other things this is used to test brew new batches of malted barley and hops. Sadly, the output of this test brewery is discarded. Science and theory is one thing but at Heineken to be a Master Brewer you also need experience and it takes a minimum of 15 years before Heineken consider their brewers Master Brewers. 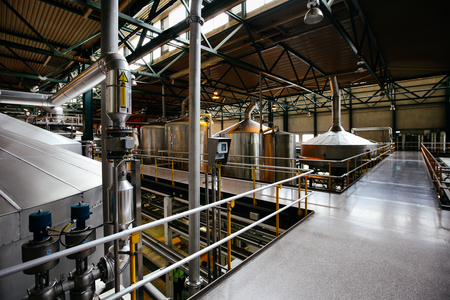 Zoeterwoude is Heineken’s flagship brewery with six brew houses operating 24-7, continuously producing beer at the rate of 1,000 hectolitres per brew. Incredibly only two people per shift oversee the operation and over the weekends the brewers can largely control the process remotely from their homes. 1. Whole malted barley is ground to produce a rough flour known as grist. 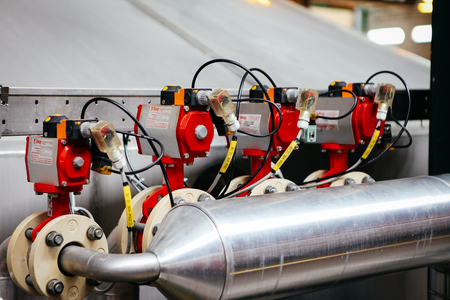 Around 18,000 kg of grain is used in each 1,000 hectolitre brew. 2. The grist is then soaked in hot water at 60°C in a vessel known as a mash tun. 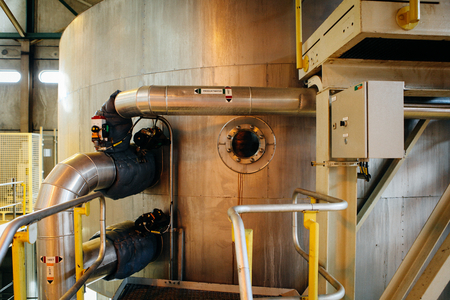 Heat activates enzymes in the malt which break down starch in the grain converting it to fermentable sugars. The temperature is increased first to 64°C and then to 78°C to produce sweeter, more complex sugars. 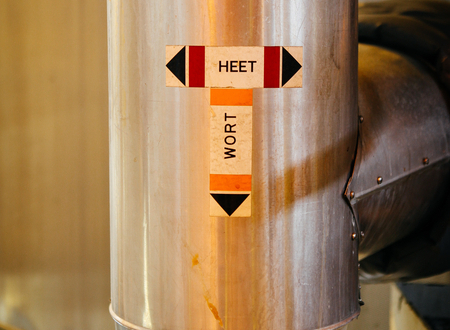 These default temperatures are tweaked depending on different batches of malt and the results of trials in Zoeterwoude’s test brewery. 3. At the end of mashing the sweet porridge from the mash tun is pumped into a lauter tun which acts like a giant cafetière. The mash sits on a sieve-like false bottom with the grain acting as a filter bed to strain out the sweet sugary liquid (malt sugars) known as wort. As the sweet wort runs off, the remaining grain is sparged (rinsed) with more hot water to extract the last of the sugars. The spent grain is sent for use as animal feed. 4. The sweet wort is pumped to a brew kettle where it is heated to boiling point to sterilise the liquid and stop further enzyme activity. During this boiling process hops, in the form of dried pellets, are added both at the beginning, for bitterness, and at the end, for aroma. The hops also improve the beer’s shelf life acting as a flavoursome preservative. 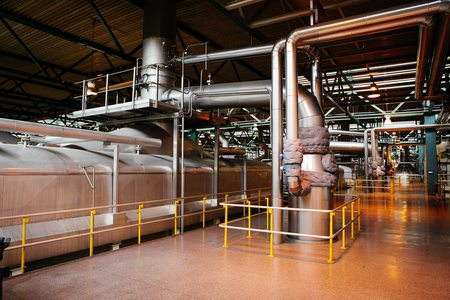 Heineken experimented with rectangular kettles in the 1970s but found they did not boil as homogeneously as round ones so added a separate heater through which the wort is continuously pumped and returned to the kettle. This worked so well that when new round kettles were installed in the 1990s they were also equipped with the additional heating units. 5. 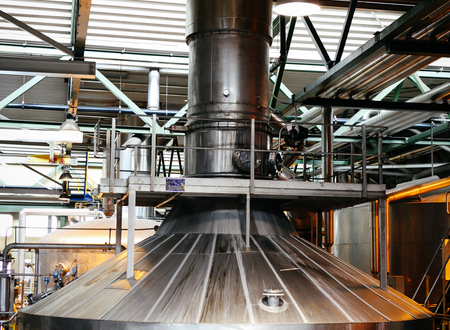 The hot wort is pumped into a vessel which uses a whirlpool motion to separate and remove the spent hops and flock. The spent hops are sent together with the spent grains to farmers for use as animal feed. 6. After leaving the whirlpool the wort is still around 95°C so it is passed through a heat exchanger on its way to the fermenting vessel to reduce the temperature to 8°C, the perfect temperature for yeast. 7. 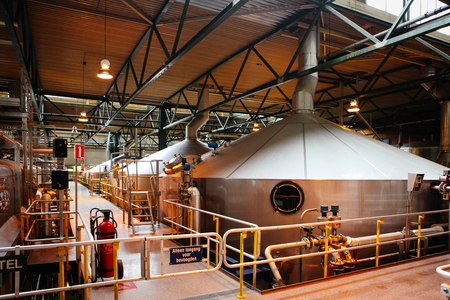 Heineken’s own ‘A-yeast’ is added to the wort and fermentation takes place in horizontal tanks. Fermentation lasts seven days with the temperature not allowed to rise above 11°C. Heineken A-yeast is noted for the fruity banana notes it imparts to beer, giving Heineken a very refreshing balance between hop bitterness and fruitiness. 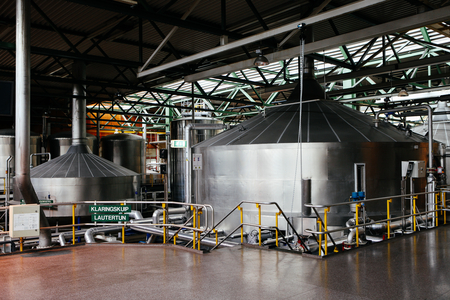 Heineken A-yeast is a flocculating bottom fermenting yeast and its tendency to sink to the bottom of the tank helps the clarity of the beer. Horizontal fermentation tanks keep pressure low so the yeast is not under strain. Experiments with high tanks in the 1990s showed it was very difficult to attain the right ester levels. 8. After fermentation the beer is rested for 21 days in vertical tanks which are cooled to 0°C in a process known as lagering. This allows the flavours of the beer to develop while partials of grain and dead yeast cells sink to the bottom of the tank. This long lagering period produces a more balanced beer with lasting clarity. 9. 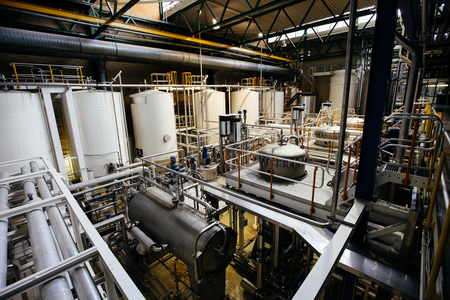 One of Heineken’s key quality checks is its bright clarity and this is achieved firstly by lagering then passing the beer through a filter to remove any remaining dead yeast cells, flock proteins, tannins from the barley husk and polyphenols. After filtering, the beer is brought to the right carbonation level by adding recovered carbon dioxide from the fermentation process. 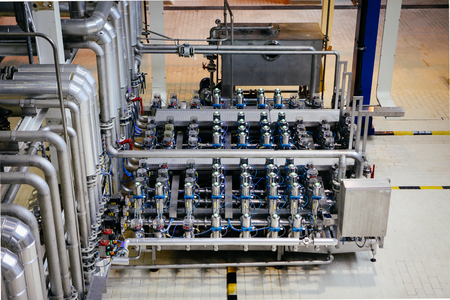 In Zoeterwoude, Heineken is using upgraded automated kieselguhr filters, though worldwide it is replacing their old kieselguhr filters with new state-of-the-art membrane filters. 10. 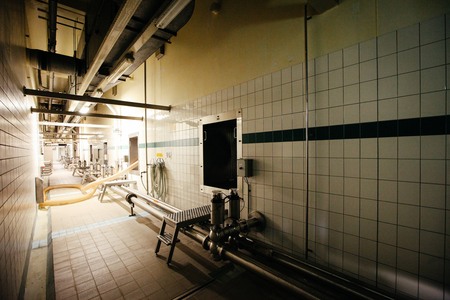 Over 80% of production at Zoeterwoude is in bottled form but cans and kegs are also filled here. 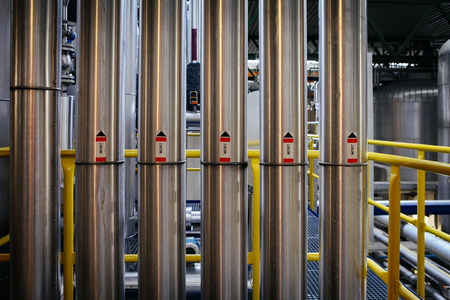 The bottling lines at Zoeterwoude fill 60,000 bottles per hour and these plus the cans are tunnel pasteurised while keg beer is flash pasteurised at 65°C before going into the keg. Pasteurisation extends shelf life and also helps with microbiological stability and consistency of taste by killing enzymes which can breakdown the beer’s fruitiness. Throughout the whole process Heineken’s labs test samples but the final and best test is the panel of 60 taste testers who are tasked with trying every batch to ensure consistency.